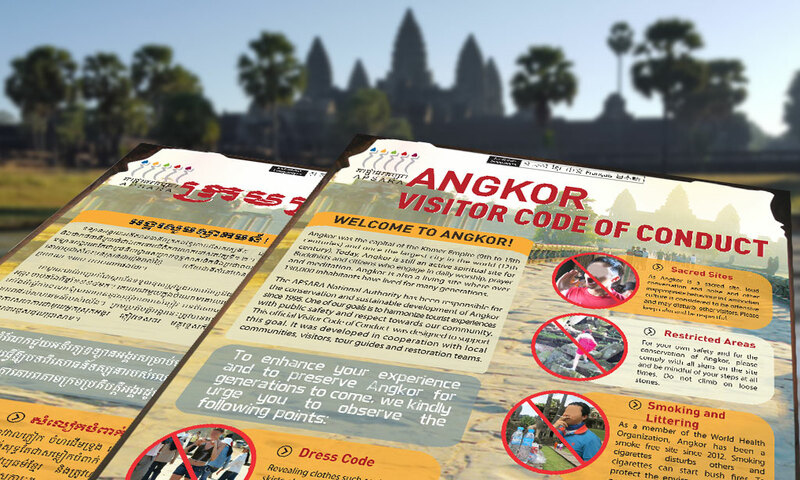 Both local and international visitors should respect the Angkor Visitor Code of Conduct, issued by the Apsara Authority. 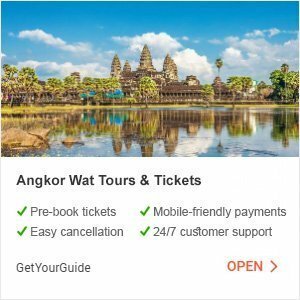 Angkor Archaeological Park is by far the most popular tourist destination in Cambodia, and perhaps in all of Southeast Asia. It was once the largest city in the world, and the remaining historical significance of the park’s network of ancient ruins has earned it UNESCO World Heritage site status. It’s easy to perceive the park as a massive tourist attraction due to the high number of visitors each day. However, it’s actually an active spiritual site for Buddhists. 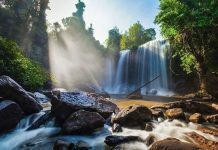 It’s also home to more than 130,000 inhabitants, many of whom can trace their ancestry back to families who lived there during the Khmer Empire between the 9th and 15th centuries. 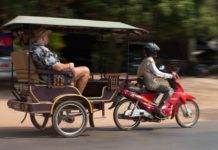 For these reasons, it’s important to understand the Angkor Visitor Code of Conduct before arriving in Siem Reap. The Code of Conduct is easy to understand, and following it will improve your experience during your visit to the park. It will also help preserve the historic ruins and ensure that the active spiritual practitioners of the park are not offended or disturbed by your actions. The Angkor Visitor Code of Conduct was developed by the APSARA National Authority, which has been responsible for the conservation and restoration of Angkor Archaeological Park since 1995. The Authority’s main goal is “to harmonize tourist experiences with public safety and respect towards our community”. 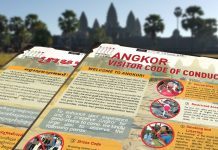 The guide was developed through the collaboration of the local Angkor community, visitors, tour guides, and the restoration teams. Buddhist culture is conservative with regards to attire. Wearing revealing clothes such as shorts, tank tops, and skirts that show flesh above the knees is considered very disrespectful. Also, showing bare shoulders is not appropriate. 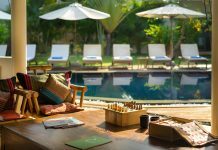 It’s strongly recommended to dress respectfully when visiting Angkor, as it’s frequented by Buddhist monks for spiritual activities. Angkor’s ruins show the effect that time and weather can have on magnificent architecture. Human foot traffic and touching of the ruins’ surfaces accelerates the process of degradation. 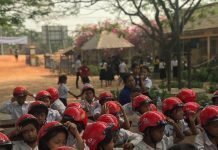 With thousands of people visiting Angkor Archaeological Park each day, the effects are difficult to prevent. Since it’s an active spiritual site, it’s considered rude to be loud in any way. Therefore, it’s important to talk quietly and respectfully. Yelling or making a lot of noise disturbs other visitors and the temples’ spiritual practitioners. 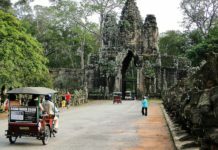 Some areas of Angkor are strictly off-limits to visitors. This is to protect areas undergoing restoration, or to protect visitors from areas that may be dangerous to walk through. Be mindful and respectful of the posted signs that identify restricted areas, and under no circumstances should visitors venture beyond the signs. 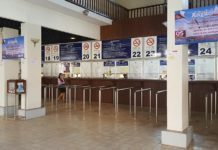 Angkor is a member of the World Health Organization, and has been a smoke-free historic site since 2012. Smoking cigarettes within the park disturbs others and increases the risk of starting brush fires. Needless to say, littering within the park is not allowed. Trash cans are established throughout the park, and backpacks and purses can also be used to carry out trash. If you see litter, be a custodian of the park and of the environment, and pick it up to improve the experience for your fellow visitors. Littering is a real problem during the yearly Angkor Sankranta festival, when over a million locals gather in the Angkor Archaeological Park to celebrate Khmer New Year. 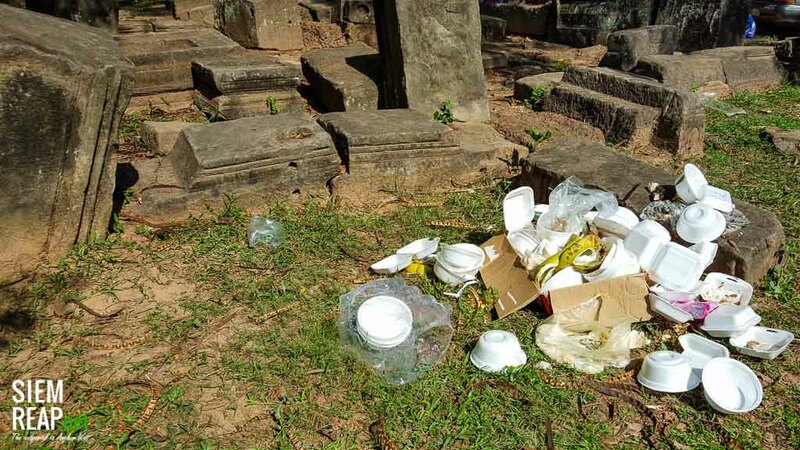 During the Angkor Sankranta festival, piles of garbage like the one pictured above can be found all over Angkor Archaeological Park, even though there are plenty of trash cans available. 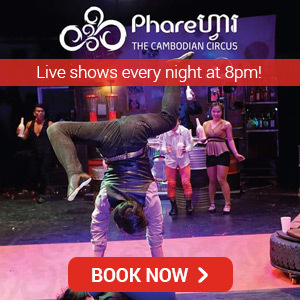 Cambodia is an extremely poor country, and it’s not uncommon to see children selling items to tourists on the street. 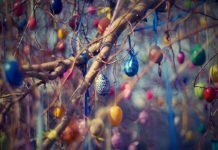 Buying from children, giving them candy or snacks, or donating money directly to them is exceptionally harmful to them because it encourages them to not attend school. 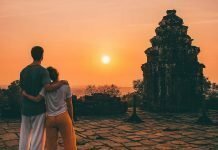 While it may be understandable to want to help the poor children of Cambodia, a much more effective method would be to donate money to a reputable charity that helps the country’s education, literacy rates, and economy as a whole. Also read our detailed guide about why you shouldn’t give money to begging children. Buddhist monks in Cambodia are respected and revered. This does not mean that it’s forbidden to speak with monks, however there are certain rules that must be followed to ensure a respectful interaction. If you’d like to take a picture with a monk, politely ask for permission, and respect that person’s wishes if the answer is no. Women must be particularly careful to not stand or sit too close to monks, as that is disrespectful to the monk’s way of life. Do not touch, hug, or drape your arm on a monk’s shoulders during the photo, or at any other time. 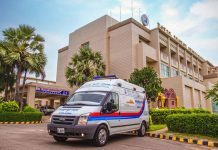 If you plan to use professional equipment to film or take pictures for commercial purposes, you must obtain a permit from the APSARA National Authority in advance. Also, drone use within Angkor Archaeological Park is strictly prohibited without written permission obtained ahead of time. 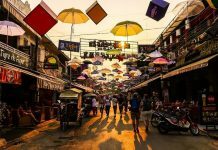 Visit www.apsaraauthority.gov.kh for more information on obtaining the appropriate photography, filming, and drone permits.